While doing some exploring on the internet, I stumbled across this video that does a pretty decent job of explaining a crazy pool vortex that forms when you push a plate through pool water. The woman in the video lists some examples of vortexes which include water going down a drain, hurricanes, tornadoes, and air going over a plane. In the example with the plate, the difference in velocity between the water moving with the plate and the stationary water next to it causes a shear force and makes the water spin. The vortexes keep spinning because of angular momentum and minor friction. She also examines what happens when a vortex line is curved or a complete circle like in a smoke ring, bubble ring, or even the plume rising up from an explosion. This seemed interesting to me so I decided to explore more behind what creates a plume after an explosion. The plume formed after an explosion, often called a mushroom cloud, is best known for occurring after nuclear explosions. 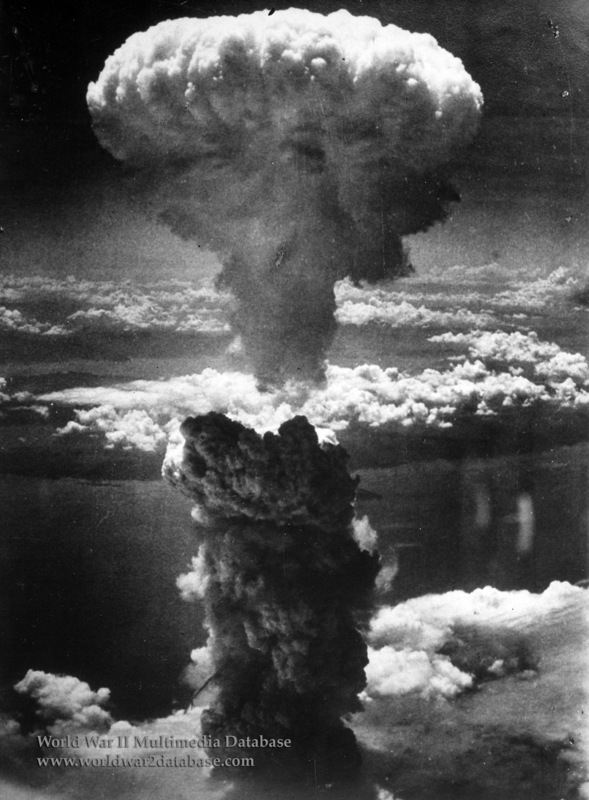 Below is a picture from WWII of the atomic bomb explosion over Nagasaki, Japan. Some simple physics can explain the phenomenon behind the forming of this cloud. When the explosion occurs, the hot burning gases which are less dense than the surrounding air, rises up fast, creating a vacuum affect that pulls cool air up into the cloud. This is called the Raleigh-Taylor instability which occurs when two different substances of different densities interact. I've included an additional video that better explains this stunning affect. Enjoy!